About Us WEB100 is software development company that provides offshore outsourcing services and the development of IT solutions for B2B communications and business solutions based on Social Media technologies. Before you joined your first “social network,” you were already using a tried-and-true social network that all your friends had joined, that never tweaked your privacy settings without asking, and that worked incredibly well. It was called email. In recent years, modern email clients like Gmail have turned your email account into a more powerful social tool than ever, capable of nearly anything you can do on Facebook—and it protects your privacy while you’re at it. Here’s how to turn your Gmail inbox into the most powerful, private social network you’ve ever used. 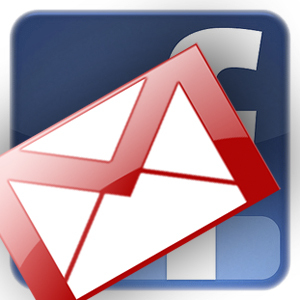 Why Should I Use Email When I Have Facebook? Its privacy settings are so complicated that we maintain a constantly-updating guide on managing them. It’s full of apps designed to invade your timeline and trick you into sharing things. Facebook is public now, which means it’s going to get much more annoying. We all do stupid things on Facebook. Lots of people are on Facebook, but everyone has an email address—hell, you need an email account to sign up for Facebook. With a little setup, you can turn your email account into the best, most private and worry-free social network you’ve ever used… Facebook be damned. Folders, Labels, and Contact Groups. Folders and labels are great at keeping your inbox pared down to the essentials, but they can also organize conversations among friends—just likefriend lists in Facebook, but less of a pain to set up and use. In Gmail, they’re easy to create and switching views is a single click in the sidebar. Contact groups are just as easy, and you can set them up for business, job hunting, friends, family, and more. Best of all, when you share with them, you know exactly who’s seeing what you’ve emailed—none of that “friends of friends” business. Filters and Mute. Many of you have email filters, and they’re great to corral or delete automated email, filters are also a great way to manage conversation threads so you’re not overwhelmed—or forced to view them all in one place, like Facebook’s news feed. When a conversation in Gmail gets too long, you can just mute it. At Facebook, there was no way to do this until recently. App Choices. Gmail has an official mobile app, and a killer webapp, but the beauty of email is that you can choose whatever app suits you best. Whether it’s Sparrow, Thunderbird or something else, you’re never stuck using an interface you don’t want to use (I’m looking at you, Facebook for iPad). Heck, even though we’re focusing on Gmail here, you don’t have to use that—you could use another email provider entirely if you choose. Plenty of Storage and Data You Own. Every major email provider these days gives you an inbox you couldn’t possibly fill. My Gmail account is somewhere around 10GB, and I’m using about 10% of it. Also, unlike most social networks, you have complete control over your data, strong security tools to protect it, and you can export it at any time. Sure, Facebook lets you request your data for export, but then you have to wait for them to pack it up and deliver it to you. With Gmail, I can use Google Takeout, or I can do it myself whenever I please. We all know how to manage our email accounts. We all have our inboxes on our phones and on our computers, we all have a favorite app we use to get our email, and we all know how to handle our email. The only catch is that email isn’t inherently public—but that’s actually a good thing, because it lets us share what we want to share only to the people we want to see it, and no more. That makes email social and private: a pretty killer combination if you ask me. Create Contact Groups to Easily “Post” to Friends, Family, and Others: Contact groups can be used to corral your conversations and shares into communities that actually care about them, instead of broadcasting everything to the world. Just go to Google Contacts and select “New Group.” Give your group a name, and then add the email addresses you want in your group. Gmail will autocomplete them as you type. Consider setting up groups for your job, for family, friends, a school project, and any other subset of people you want to communicate with regularly. Plus, now that contacts are supported in the Gmail search bar, emailing, calling, and IMing is even easier than before. Organize and Sort Your Groups with Filters and Labels: Now that you have some contact groups defined, it’s time to start setting up labels and filters so your “social mail” is organized for easy reading. Here’s a great guide to making filters and labels that stand out. Google doesn’t give us a way to filter by contact group, but this workaroundlets you create filters for entire groups so they’re neatly labeled, and set to either go right to the label and keep your inbox clean, or labeled and in your inbox at the same time. Use Priority Inbox as an Organized News Feed: The reason filters and labels are so important is so you don’t get overwhelmed by your sudden influx of social email. No one likes a cluttered inbox, and in addition to filters, Google’s Priority Inbox adds another element of automatic organization to your email account. It may take some training, but it’s a powerful tool to make sure the important stuff bubbles up to the top, and the rest is organized and filed so you can see it when you choose. Turn On Threaded Conversations to Keep Up Easily: If you have conversation threading turned off, now’s a good time to turn it back on. Head to Gmail settings and set “Conversation Mode” to on. When you sharing with your contact groups, conversation view will keep all of their responses in one place, organized neatly so you can follow the conversation. Compared to Facebook’s one-layer comment threads, threaded conversations are heaven-sent. You can continue conversations as long as you like, and you’ll never lose track of who replied to what. Mute Conversations To Keep Your “News Feed” Tidy: If those conversation threads get into the weeds, or you lose interest, you can always mute the conversation. You still get the mail, and you can always come back to it easily (unlike Facebook’s take on the same feature). Best of all, no one knows you muted the conversation, so you don’t have to explain yourself to someone who noticed you removed yourself from their event invitation or comment thread. IM them anytime from inside your inbox (just like Facebook chat!) or your preferred IM client, and even fire up a video call with them with a couple of clicks. Sure, you can do the same in Facebook, but it’s easier—and less intrusive—in Gmail. Turn On Maps, Flickr, Picasa, and Docs Previews in Labs for Context: Gmail Labs features a number of in-email previews similar to Facebook’s link previews, so if a friend pastes a YouTube video, for example, you can watch it directly from your inbox. To turn them on, head into Gmail Labs, turn on the link previews for Flickr, Picasa, Docs, Maps, and Yelp previews, and click Save Changes. Another lab, Message Sneak Peek, lets you right-click a new message in your inbox to preview it before opening it, and the Google Voice player embeds new voicemail right in the notification email you get after someone calls. All of these make it easier to work in your inbox without having to jump out of it to go somewhere else. Rapportive: Rapportive brings additional contact information you may not already have into Gmail for all of your contacts. Social network profiles, recent updates, phone numbers, and more are available, and they replace the ads in your Gmail inbox too, which is a nice bonus. Xobni for Gmail: Similar to Rapportive, Xobni also replaces the sidebar to the right of your Gmail messages with useful contact information, links to other social network profiles your contacts may have, and their updates there. However, Xobni also has Smartr for iOS and Android, which takes contact management to a whole new level. Smartr shows you contacts you’ve interacted with recently, your conversation threads, and even imports contact information you may not have already. Plus, it hooks in to Google Contacts nicely so you have all of that data in one place. We like it so much, we think it’s the best address book app for Android and for the iPhone. ToutApp: ToutApp was designed to help people who email frequently maintain relationships, and it can do the same for your new socially supercharged inbox. The service tracks your emails so you know when they’ve been opened, organizes people you talk to into relationship groups automatically, and makes it easier to email those groups quickly. Best of all, the Gmail plugin is free. Gmelius: Gmail ads are a little annoying, but instead of complaining, Gmelius lets you do something about them. The tool strips out the ads, lets you hide or toggle elements of the layout that you don’t like, and all-around personalize your Gmail experience. It’s not exactly a social tool, but it does give you more control over the layout than Facebook ever would. Gmvault: Gmvault gives you total control over your data. Yes, Google Takeout also allows you to do this, but Gmvault backs up just your GMail account, does it locally to disk, and can be set up to run regularly so you keep regular backups of your email and files. The tool even makes it easy to restore to a new mailbox. There are more tools available for Gmail that extend its social features, and these are just the tip of the iceberg. The point of all of them are that they give you control over who you share with, what they see, how your conversations and shares are organized, and how you read your updates from friends. It’s not a perfect solution, and we’ll all probably continue to use Facebook, but your inbox is already the most powerful social tool you use, and the one that most protects your privacy. Besides, who wouldn’t like more email—-actual meaningful, person-to-person email these days?